Our experience with Lakewood Labradoodles has been exemplary. Brenda chooses our canine brother for our family with great care and careful consideration. Consequently Tuckers has fit in with our urban lifestyle and busy family beautifully, bringing us great joy. We couldn’t be happier! When my husband and I decided to get another puppy, I did some research for just the right breed. We have several grandchildren and wanted to be sure we had a puppy that would fit into our lifestyle. After weighing all the options, we knew we wanted an Australian Labradoodle. As I began to look at different breeders, many were out of state. We live in Florida and I really wanted to be able to pick up the puppy from the breeder myself. In my research, I ran across Lakewood Labradoodles in Winter Haven and we couldn’t be happier with our sweet Bailey. She is now 8 months old and is so smart, loving, and sweet. She has a gorgeous fleece coat. When we teach her something new, she learns very quickly. As a matter of fact, she was the easiest dog we have ever had to potty train. When we took Bailey to our vet, he said we had a very healthy, happy, and well-bred pup. 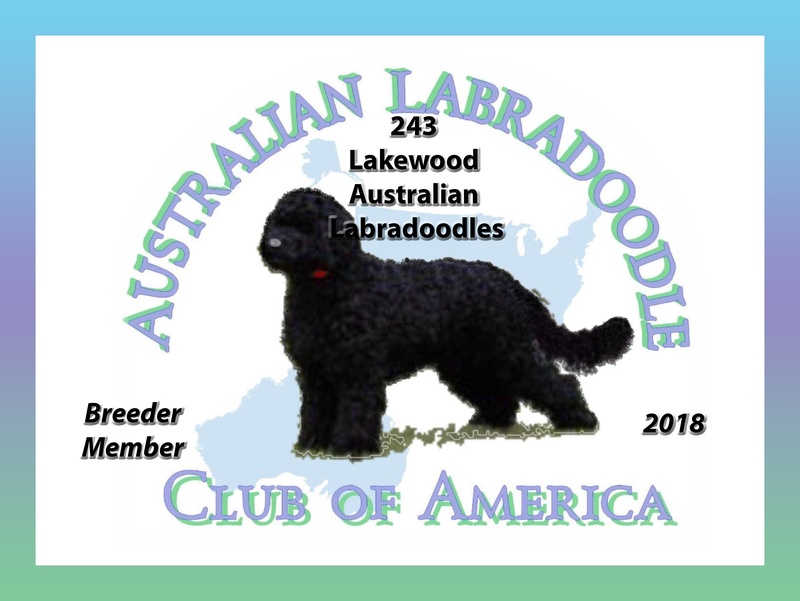 I like the fact that Lakewood Labradoodles is a member of the Australian Labradoodle Club of America. The ALCA has high standards and we wanted to make sure we were not getting a puppy mill dog. I love the fact that the pups are raised in Brenda’s home and are socialized from the very beginning. Bailey is very loving and contented. She loves to play and is very well behaved for her age, just the perfect little lady and we couldn’t be happier. A puppy from Lakewood Labradoodles is a member of a great big family and it is so much fun to keep up with Bailey’s brothers and sisters on Facebook. The relationship does not end once you take your puppy home. Even now, after all these months, if I have any issues or questions, I can rely on Brenda to answer them and give me great advice. 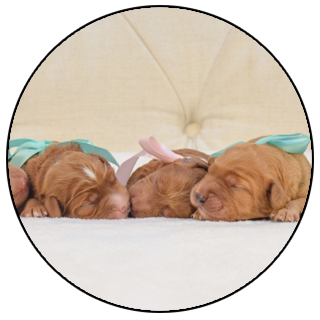 At some point, we hope to add another puppy to our family and it will definitely be from Lakewood Labradoodles. We were referred to Lakewood Labradoodles through another breeder. We were anxious to add a furry member to our family and timing was important to us. Brenda was so helpful as we did our research on ALDs and helped us once we committed to a litter. We loved following our puppy from birth until we brought her home. Brenda offered helpful information to help us prepare, gave us opportunity to come meet her and her litter mates. It was a great experience. We brought home a beloved member of our family. We adore our ‘fur baby’ and love that Lakewood Labradoodles gives us the chance to stay connected with other Lakewood families. It is fun watching our baby’s litter mates grow too! Highly recommend! I can't say enough wonderful things about Brenda Attaway and Lakewood Australian Labradoodles. When we lost our beloved goldendoodle in April 2017, we were hesitant to get another dog but had this void in our house. We wanted our two young sons to grow up with a dog and we were just dog people. My husband began a search for labradoodles, discovered Lakewood, and a 20-minute thorough conversation later, we were pretty much sold. Brenda was extremely knowledgeable, patient, and attentive to detail. She cares about all of her dogs and the families she matches them up with. We are grateful for Brenda and their gift to us, our sweet Mia. Mia has a phenomenal sweet disposition and loving, gentle nature. Everyone loves her that first meets her and inquires about where we got her! 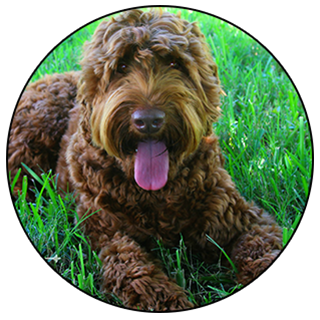 Everyone should be so fortunate to have a Lakewood Australian labradoodle in their home!